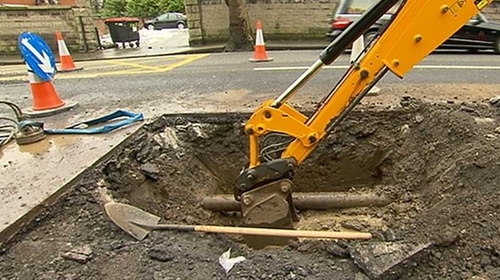 Water restrictions in the Dublin area may be reduced at the weekend, Irish Water has said. The company said that 12,750 homes and businesses countrywide remain without a water supply and 27,484 have a restricted supply following last week's winter storm. Irish Water added that a 'do not drink' notice remains in place for Fethard in Co Tipperary, affecting 12,000 customers. The company has lifted nine boil water notices which impacted on almost 13,000 customers on the advice of the Health Service Executive. They had been in place in Enniscorthy, Co Wexford and in Co Waterford. Irish Water said demand for water by homes and businesses stabilised between Tuesday and yesterday, but the demand across the Dublin area remains high. It added that, while it had made good progress in finding and fixing leaks in this area, restrictions continue to be necessary to avoid widespread outages across the region. The amount of water in Dublin's reservoirs is 100m ltr below normal. Irish Water's General Manager said they are "extremely conscious of the hardship that supply restrictions impose on people." "We continue to look at how we can carry out restrictions in a way that minimises impact and avoids concentrating them in individual areas. "To support this we are considering how we can further reduce restrictions over the weekend when the impact of restrictions can have an even greater impact on social and commercial life when sporting and social events are taking place." Restrictions remain in place between 8pm and 6am across Dublin, with many reporting disruption for longer than those ten hours.